Michigan has been ranked among the top 10 worst states for school violence, according to a study by the Educator's School Safety Network . 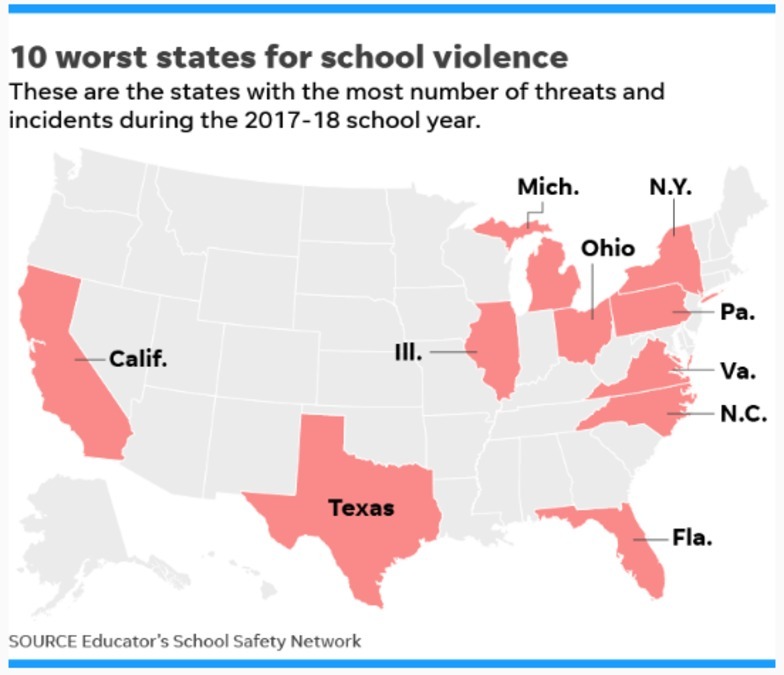 In the 2017-18 school year, the report found 51 percent of all threats of violence at and against schools happened in just 10 states. California, Florida, Illinois, Michigan, North Carolina, New York, Ohio, Pennsylvania, Texas and Pennsylvania accounted for nearly 2,000 threats and events of violence out of about 3,600 incidents nationwide, according to the study. Michigan was in 10th place last year for number of threats against schools and violent incidents occurred per million residents, but is now in first place this year. Read the Educator's School Safety Network full report here .